Available to pre-order from SATURDAY 24th FEBRUARY at 19:00 (UK time) at www.data-discs.com Music from the arcade classic, newly remastered and available on vinyl for the first time outside of Japan. Composed in 1987 by SEGA’s legendary in-house programmer, Hiroshi “Hiro” Kawaguchi (OutRun, Space Harrier), this vinyl release of After Burner II features the complete arcade score, along with an unused “Melody Version” of the title track. In addition, we are proud to include a second disc of bonus material, including three arranged versions by SEGA’s in-house live band (S.S.T. Band) from 1988, along with a keyboard and brass infused medley performed by Hiro’s current band, SEGA Sound Unit [H.]. After Burner II is presented as a double 180g LP, cut at 45RPM and housed in a heavyweight single-pocket sleeve. 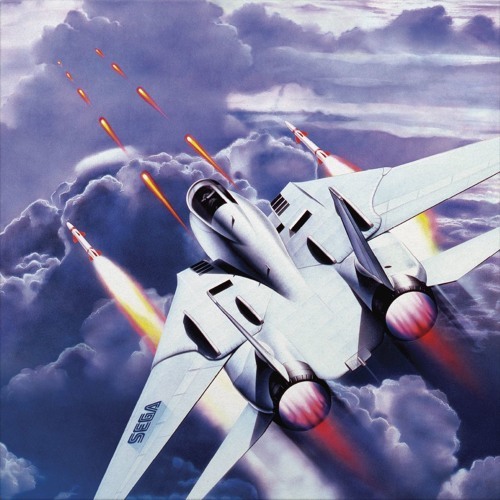 Also included is a 250gsm foldout poster of the original artwork, featuring the iconic F-14 Tomcat fighter jet, which has been newly licensed for this release. * This release is available in the following editions: - 2 x 180g Purple and Blue Swirl (Limited Edition) - 2 x 180g Opaque Purple - 2 x 180g Classic Black * F-14 Tomcat™ is a trademark of Northrop Grumman Systems Corporation and is used under license by Data Discs Ltd.
Oh man, right in the nostalgia. This is very rare to hear the melody version from it's original hardware. Now I know how it sounds like, I can rest in peace while dreaming of taking down enemy migs in my Tomcat Maverick style.